Earlier this month, Hewlett Packard agreed to plead guilty to bribery charges involving its subsidiaries in Russia, Poland, and Mexico. HP admitted to the DOJ that it bribed Russian officials in the hopes of landing a profitable contract with Moscow’s Office of the Prosecutor General. Poland saw the admission of bribery connected to contracts with the national police agency. And in Mexico, illegal cash was tied to deals with Pemex, the state oil company. HP ended up getting trapped in the Foreign Corrupt Practices Act (FCPA), a law enacted almost 40 years ago. So just how much does HP have to pay in penalties? US$108 million – the tenth largest settlement ever under the FCPA. According to the experts, the penalty itself might not be the deterrent, for HP or other large corporations, but instead, it’s the negative publicity that will come from its actions in multiple countries. The FCPA Act was signed into law by President Jimmy Carter in December, 1977, in the wake of a US Securities and Exchange investigation that found more than 400 US corporations had collectively paid more than $300 million in bribes to foreign officials and political parties. The FCPA casts a broad shadow covering both corporations and individuals. Under the law, anyone is in violation if they engage in bribery while in the US. This denies foreigners a safe haven to engage in corruption offshore while they are in the US. The FCPA also applies to US citizens’ financial actions overseas. And, since 1997, it covers foreign corporations that are traded on US stock exchanges and securities markets. Other nations followed the US in their similar laws. The UK passed the UK Bribery Act, and Canada enacted a similar law. Anti-corruption laws have been introduced in China, Thailand, Malaysia, Brazil, and many other countries. However, timing might be key when prosecuting. 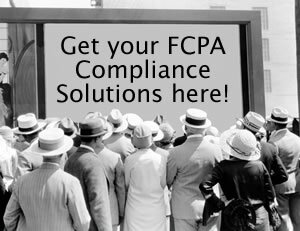 The FCPA has certainly compelled organizations around the globe to become proactive in their internal programs designed to prevent, detect, and remediate bribery and corruption throughout their organizations.